Discover an active and carefree life. Vitality comes naturally at Covenant Village of Florida. 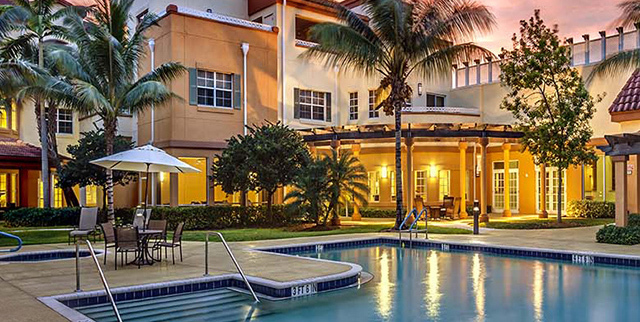 Covenant Village of Florida is located minutes from the Atlantic Ocean and Fort Lauderdale’s bustling nightlife. Spend a day at Plantation Central Park and the evening watching a show. Feast on shrimp salad on our patio or grab a bite in the Bistro. Dabble in our creative arts center. Work out in the fitness center. You can easily spend the day lounging poolside and then take in a show at the Broward Center for the Performing Arts! Our fun-loving, on-site Activities Director will orchestrate a wide variety of activities and events so you can choose what you want to do. From wellness activities and exercise classes to social events, it’s never hard to fill your calendar and enjoy your free time.